Thank you for the military training course posts however this thread is now closed. The dog mess is getting beyond a joke along school lane, children are stepping in it on their way to and from school. It's even in the church yard over the grass. I've made numerous reports to the council but they've done nothing. I'm starting to wonder what I pay my council tax for around here. Hi, please can you provide an update on the road resurfacing & pavement works on Longwood Park? Originally the project was 14 weeks due to end prior to Christmas but it's by far near complete. Many thanks, Lucy Heyliger. Hi, The surfacing works are ongoing and will take approx. 3 months to complete. Have you had an evening walk down Fryers road and onto Townsend road lately??? The street lighting is terrible around there, I'm surprised there hasn't being an accident. Also regarding the Christmas light switch on, couldn't you of chosen someone from our community that people would of liked? Maybe head child of the primary school or head teacher of the primary or tiny tots? You could of even run a competition where the children of the community had to draw a picture? These options seem more appropriate. Maybe you should be in our community a bit more and you'll know our likes and dislikes a bit more. Thank you for your comment, I will raise a complaint with CWAC regarding the Fryer Road and Townshend Road lighting. 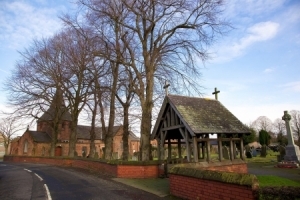 All Lostock Gralam Parish Councillors live within the Lostock Gralam Parish so any decisions made are from local people. There is a 15 minute public forum at the start of each monthly Parish Council meeting, so please feel free to come along and have your say. Thanks Clerk to Lostock Gralam Parish Council. I have been attending lostock military fitness since March. We do not make any more noise than children playing or cars driving by, so really do not understand the issue. If it really is that bad why not come over and ask us to keep the noise down? You would then be able to witness first hand how everyone is enjoying it, and see the children taking part too free of charge!!!! This is a great way for people of all ages and ability to get moving and motivated and healthy. I would be really upset if the class was to stop. The classes are welcoming to all and since attending I feel so much better and they have made a significant impact to my fitness and wellbeing. I have been Attending Lostock military fitness for a number of months now. It has improved my fitness and my well-being massively. After having children my confidence and self-esteem had dropped a lot so attending these classes has help me massively gain my confidence back with making new friends along the way. I feel comment about making life miserable is really unfair and unacceptable, I live in lostock. I go to the Lostock Military Fitness classes each week. They are great for improving fitness and a fantastic bunch of people. The instructor makes it fun and motivating and also happily lets children on the park join in. I find it hard to accept that these classes running for two hours each week can come anywhere close to &ldquo;making lives a misery&rdquo;. Surely the traffic on the main road and /or children playing on the park every day generate more noise than an hour long fitness class that is providing many benefits to the local community. Have you contacted the instructor to discuss your specific concerns? I live in Lostock Gralam and personally Love the Lostock military fitness class, it&rsquo;s fab for the community, all the local kids join in too! Dave the instructor isn&rsquo;t even loud, kids in park in general make more noise then him so does the traffic on Manchester Road! I find it quite shocking that this one person hasn&rsquo;t come over and spoke to Dave about the noise level, he is s a very approachable person and manners don&rsquo;t cost anything. The class has been going on for 8 months and suddenly it&rsquo;s make her life misery, I find that very hard to believe! The Lostock Fitness class brings people from all over Lostock and surrounding areas to get fit. Surely that&rsquo;s a good thing? Several people from the class, including myself are new to the area and it&rsquo;s made me feel so welcome meeting new people. It&rsquo;s 1 hour on a Monday and Wednesday. In the end it&rsquo;s a play area which will be noisy. I just wanted to say how amazing the Lostock Milatary fitness classes are. Not only is it brilliant for fitness especially being outdoors. But the community spirit involved is amazing! The instructor allows the children to regularly join in too so it doesn&rsquo;t disrupt there playing whilst on the park. 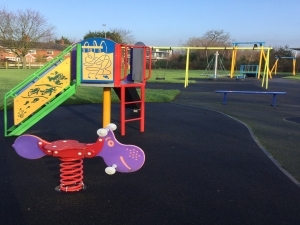 To be able to go to my local children&rsquo;s playing area to do something for me is so convenient too, I love being a resident in lostock as it&rsquo;s things like this that set us part from other areas I&rsquo;ve lived previously. In response to **** below, I attend the fitness class at Lostock community Centre on a Monday and Wednesday which takes place between 7-8pm. It is such a fantastic group and helps so many people and obviously outdors with lots of people the trainer needs to raise his voice a bit but it's by no means excessive. To say its &quot;making lives a misery&quot; is utterly ridiculous. No one else has expressed any issue and it's two hours a week which are not at an unsuitable time! I don't even understand your 3rd sentence as it makes no sense whatsoever. Our group is fantastic and I know so many people benefit from it - more people should be getting out in the fresh air to get fit and healthy considering we have one of the highest obesity rates in Europe, let alone the world!! You live under a flight path, next to main road and opposite a Children&rsquo;s Park that is always busy, did you complain about the work men making your road better over night? Or the children playing all weekend in the park? Or to Manchester airport about the late night or early morning flights?. I am not going to go into the benefits of outdoor training with you but to say I make lives a misery is very unfair, speak any of my members I actually improve lives on a weekly basis!!. Whose lives am I making a misery?? I give encouragement and positive motivation for less than 1 hour twice in a week of 168 hours! I would like you to have a meeting with me rather than publicly complain in a way that is unfair. You have never once come over to speak to me!! Let&rsquo;s organise a meeting to discuss this. 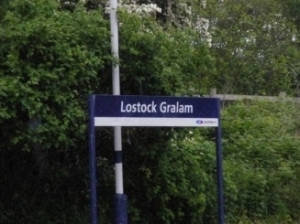 ***** I live in Lostock Gralam. There is so much noise from the group especially the trainer ... why is it so loud ?? And bob aport to be from the village... why do the do it where they live ? Making lives a misery !!!! Can you please tell me where &lsquo;U lock it self-storage&rsquo; are planning to set up business in Lostock Gralam please? I haven&rsquo;t noticed anything about this company in the Parish council minutes. I regularly visit the park in Lostock on Manchester Road with my children but a couple of times this week there have been adults drinking there during the day. Some people may think they are fine but it's a children's play area, there's a pub down the road for that! Also they're definitely needs to be a zebra crossing on the Manchester Road just up from the newsagents across from the park as it's a nightmare to cross. To cross the road safely you either have to walk down to the car garage or up to the co-op as there's nothing in between. Hope something gets sorted soon. Wrould you be able to update us on the current process of the road &amp; pavement resurfacing on the Bellway development please? I saw that it was mentioned in previous meeting minutes but nothing was promised date wise - do you have an idea of when we can expect it to be completed please? Bellway is struggling to agree with the Local Authority Clerk of Works a suitable way forward to enable roads and footpaths to be finally surfaced. They have placed all remaining works with a contractor who is working directly with CWAC. There is a meeting scheduled to take place between Bellway contractors and CWAC to establish if sewers can be adopted, once this has been agreed with Mr Warren Chatterton final surfacing can be carried out. Unfortunately at the time of writing Bellway is unable to give any detailed dates. Bellway is working closely with CWAC to get this matter completed ASAP. I was very interested to read the comments from Councillor Shore in relation to the current air quality in and around Lostock Gralam and Northwich in general. It&rsquo;s quite evident that queueing traffic would have a deleterious effect in relation to Nitrous dioxide levels, therefore would it be possible to ask councillor Shore what the CWAC strategy is to mitigate this impact when carrying out roadworks involving queueing traffic in and around the town? I can confirm that the milepost is indeed at the Hall lane crossroads, and is in front of the Motorite garage. Can you update me on current progress on the milepost at the crossroads please. I first raised this in 2016 as it is a listed building. I must agree with the writer below, I am always having to dodge dog poo when walking to local events with my toddler, and yes it is bad outside the newsagents and near the school. It really is disgusting and not fair on little children who get it on their shoes. Do people not realise its a health hazzard? I want to make a complaint about the litter along Manchester Road especially now subway and McDonald's has opened. I feel like I'm forever picking up one of their wrappers out of my garden. Also the dog faeces that keeps happening outside of Lostock Primary School along the road from there and down the side of the newsagents is disgusting, something has got to be done about it as it's everyday!! Children are treading in it on their way to school and it's not on. Something needs to be done this time and not just spray it pink! If the current level of traffic disruption caused by the works at the junction of Griffiths road is indicative of what it will be like if 3-way lights are ever installed, then I think we need to have a serious rethink about viability. I must admit that having lived in Lostock for over 60 years, the last few years have been intolerable due to the volume of road works, a lot of which seem to be manned only when the contractor sees fit. I'm sorry, but I feel that given the level of disruption, this is not acceptable. On the Sept minutes of the PC it says a verbal response was given regarding the TATA incinerator. Has any progress been made on this? It's now mid-June. Thank you for your message, a quote to repair the sign will be on the next Agenda. The amount of cars and lorries that pass through Lostock Gralam is raising all the time. This makes crossing Manchester road virtually impossible unless you walk down to the slow and easy to cross, there needs to be a zebra crossing installed across from the park. This will be the safest option for everyone to use especially children. I also think the cross road juction needs changing at the slow and easy aswell as a filter on the lights. Also is there enough money in the pot now for a picnic bench for the park? Thanks for your comment. I understand where you are coming from, firstly the Parish Council has invited CWAC Highways to the next Parish Council meeting and has set 20 issues to be discussed and hopefully resolved. Secondly we are currently drafting the HS2 Consulation Reponse for Lostock Gralam, so your comments are welcome and will be considered in our response. Any feedback with respect to the expected impact to the village of HS2 in terms of traffic during construction and the impact on local woodland would be much appreciated. It would also be helpful if the parish council could keep us informed of any proposals to re-route the A556. I must say that I do feel disappointed that the village has been somewhat sacrificed in order to accommodate the now infamous 'Tatton Bend'. Dear Mr Kettle, the Chairman and I have another HS2 meeting on 31.1.2017 where we hope to gain further information. I am currently in the process of writing the Lostock Gralam Parish Council response to the HS2 consultations. I will ask your questions at the HS2 meeting and report back. The milepost at the crossroads is falling into disrepair. This is a grade Ii listed building at Ngr 685734 and requires refurbishment, as it would be such a shame to lose a part of the history of the village. Just wanted to say what a lovely event the Christmas tree lights switch on was, well done and thank you to all involved. The mulled wine and mince pies at the church hall afterwards was very nice. I have lived in lostock 6 years and felt it really brought the community together. The children singing carols from the school did very well. Looking forward to many more events like this. Christmas Tree is a must, could this not be on the land near the slow and easy?! I'm fed up of being cut up by cars in the incorrect lane near the business park, there is going to be an acciden. I agree with the other author, a filter light is needed at the crossroads. Speed limit not adhered too...but think too much empasis on such a small strech of road. Lodge Lane (where I live) is far more dangerous as every day I witness cars, vans etc traveling the wrong way. It will probably be me with my 6 month old in the car that will have a head on collision one of these days when turning into the road. Can more be done to help make that road safe please, rather than thousands spent on a small stretch near the Watermead??? PS I did email last year about the state of the road at the crossroads at Slow and Easy, glad to see this has finally been sorted. Can right filter now be added for vehicles turning right into Hall Road?? ?